The PKI 4235 provides you with an overview of the available frequency spectrum in your environment in the shortest possible time. The PKI 4235 system was developed to detect and analyze dangerous radio transmitters using a PC with maximum efficiency. Besides classical radio signals, this also includes signals being specifically modulated onto wiring connections (telephone, alarm, electricity network) as well as signals occurring in the invisible infrared and inaudible ultrasound spectrum. These can be recorded by means of corresponding optional converters and sensors. 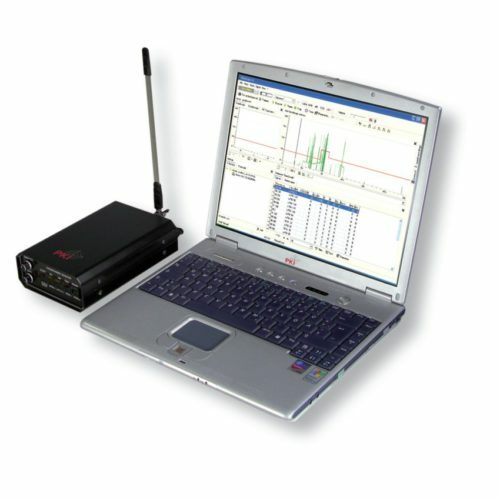 The detection of signals is based on a scan of the desired frequency range searching for active signals. Known signal sources (radio, TV, communication) can be excluded from the evaluation and analysis as a whole in order to increase the scan speed. The suspicious transmission activities are stored in a database and a series of active and passive tests is applied to them, such as Passive Amplitude Correlation (PAC), Semi-Passive Amplitude Correlation (SPAC), Active Amplitude Correlation (AAC), Active Spectrum Correlation (ASC), Active Parametrical Correlation (APC) and Harmonic Presence Test (HPT). Subsequently, the software assesses the risk and alerts accordingly. The background noise required e.g. for voiceactivated bugs can be produced by the system itself or also by an audio CD in the CD drive of the PC. A „silent mode“ is also available. During monitoring, there is a wide range of possibilities to evaluate the captured signals. Timer functions, audio recordings (e.g. mp3), frequency ranges, modulations, voice scrambling, DTMF decoding, etc. are freely scaleable and leave nothing to be desired. Obtained data are stored in a Microsoft database (.mdB ) and can be further processed with the standard programs in Excel, Word, etc. Full-duplex sound card with Line In.